April 9th, 2006 -- Taken at Pharmacy and Eglinton, this is one of the peregrines from the Scarborough nest site. The photographer took this photo from his car as he did not want to disturb the bird. 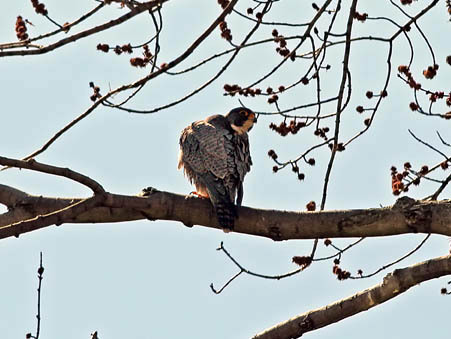 At the time, the peregrine was preening.